Apl de Ap is helping raise funds for a music school in Zamboanga. The international hip hop artist says about the young students: "They're like making videos, they're editing their own videos, and they give me CDs, I'm like wow, it's just, it's better than winning a Grammy, you know." Giving back is something close to the heart of The Black Eyed Peas' member Apl de Ap. Back in 2010, this contributor got to talk to the artist (born Allan Pineda) on giving back to his fellow Filipinos. This time, the international hip hop artist gives back by establishing a school that will place an emphasis on music education. 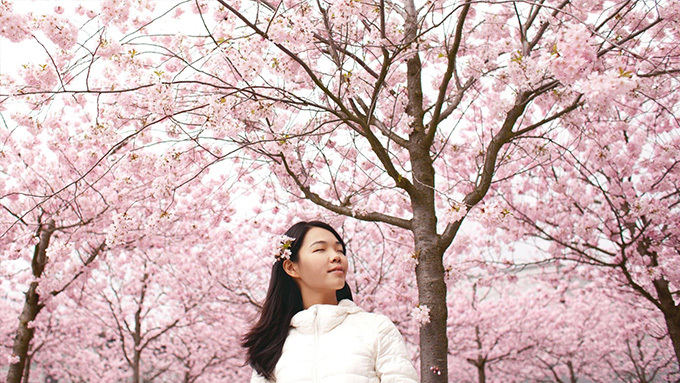 "I grew up in Sapang Bato, Angeles [City] and was given an opportunity. That's why it's very important for me to do the same. In every classroom that we're gonna build, there's gonna be a music program. We're going to provide the same equipment that I use." Apl de Ap is able to reach this goal by partnering his Apl de Ap Foundation with the Philippine-based company Red Ribbon and global natural ingredient company Franklin Baker Company for Red Ribbon Macaroons for a Cause. This partnership aims to bridge the education gap in the country, as Filipino kids belong to the top 5 countries in the world with decreased access to education in terms of resources, classrooms, geographical access and the like. During a special event held at Teatrino Greenhills, Apl explained, "Our goal is...macaroons for a cause so for every package you buy, they donate P7 going towards the school building and our main focus right now is in Zamboanga, that's what the announcement is about and that's what raising funds is for." Red Ribbon's General Manager Zinnia Rivera added, "This newest offering lets you create sweet moments with family and friends and gives you the chance to give our youth a better future through the gift of education." From simply dreaming about a school and putting up his own foundation, Apl has come a long way from a mere three years ago. How does he feel that the things he envisioned way back in 2010 is becoming such a tangible reality? "It feels great, it's priceless, you get to visit the schools and I get to talk to the kids," said the hip hop star with a smile. He narrated, "They create programs when I visit and I get to talk to them and they show me what they're doing in the computers..."
Apl's eyes lit up as he compared this feeling of accomplishment to receiving recognitions in the highly competitive world of the music industry. "They're like making videos, they're editing their own videos, and they give me CDs, I'm like wow, it's just, it's better than winning a Grammy, you know." Hailing from a group that has actually won several Grammy awards, Apl can tell the difference. "That feeling is amazing, it's an amazing feeling." Apl revealed what progress they have done for this music school. "So far, we've built 15 classrooms and this one it's gonna be actually a public school, so it's not just a classroom, it's like a whole school that's gonna be built." This public high school will pave the way for students to gain access to education and pursue their interests in becoming global professionals especially in the fields of music and technology. Zamboanga was chosen because of its need for basic education facilities and once the school is completed, over 600 students will benefit from this music school. Will the music school be named after Apl de Ap? He remarks that his school back in Pampanga is simply named Sapang Bato High School and Apl pointed out, "I built a computer lab and a library and a music room and for the elementary, I built two kindergarten classrooms," but he didn't have the very first school that he helped change its name for him. He added with a laugh: "Well, definitely in every school there is an Apl de Ap room, an Apl de Ap library or Apl de Ap studio, Apl de Ap computer lab but definitely in the future, that's gonna be or there will be an Apl de Ap school." Apl de Ap believes that when these students graduate, they will become productive members of society. "Coz you know, after these classrooms we're gonna need what's next for the students, and that's what's gonna come. That one place where they're gonna get their vocational or they wanna go to university and that's why partnering with Red Ribbon is gonna help me obtain that." Their common goal of providing every Filipino child access to education binds the three partners Apl.de.Ap Foundation, Red Ribbon and Franklin Baker Company together. Zinnia Rivera is optimistic that they will reach the target of 4.2 million packs sold in order to make an impact in the lives of the Filipino youth. 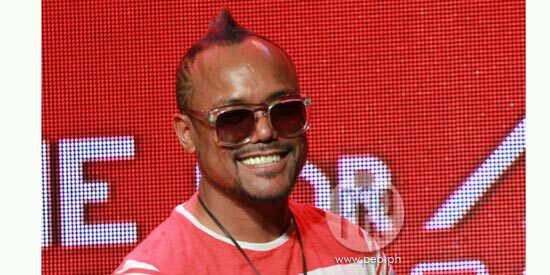 APL DE AP THE ACTOR? There are speculations that Apl will be part of a movie. In response, Apl admitted, "Well, it's still in the works, still in the works you know, we have to, right now, I'm very busy on The Voice [ABS-CBN's reality singing competition], movies being written..."
So nothing is final yet? "Not yet, not yet. We're still kinda like refining the story and I'm still looking for more upcoming directors, I have a few and now I gotta go over and watch their reels," explained the versatile singer-rapper-producer-drummer. Does that mean he will be acting in this movie? Will he be cast as the lead actor? Apl candidly revealed with a laugh: "I'll be doing a funny cameo throughout the film, you know, a little bit of, you know, it's kinda like a boy that comes from the province and goes to the city." Sounds similar to his biography since Apl was born in Sapang Bato, Angeles City, Pampanga before migrating to the United States. "It's gonna be comedy like the original slapstick kind of comedy you know very Chiquito, Dolphy, you know, like that," he revealed, indicating that he is really in touch with his Filipino roots. So is the story autobiographical? "It's kind a little bit of, parallel." APL ON THE VOICE PH. Is Apl more comfortable now then when he first started as a regular coach on The Voice of the Philippines? "You know, yeah...at first I was hesitant on The Voice, I was like, I don't know that much...once I turn around, I have to see the contestant, I was very worried about that, I was like, I won't see their expressions, I won't be able to relate, and then it dawned on me, it's The Voice, and it's all about the voice," stated the world-famous BEP member. How did he cope with that initial fear? Apl admitted, "We made an adjustment, so when I turn around, I got a little screen at the bottom of my chair so I could see their expression and in the middle of the show, I started just relating and really sharing and really listening to their stories and that made me comfortable..."
Indeed, through the weeks, Apl seems more at ease, bantering more with the contestants and being even more relatable as he told anecdotes about growing up in the Philippines. Apl is asked to clarify what he thinks of fellow coach Sarah Geronimo since The Voice contenders seem to favor the other three coaches over her. Apl is quick to debunk those who have stated online that Sarah doesn't belong as a coach on The Voice of the Philippines. "No, I feel like every coach has their own personality, I think she's very nice, very well-spoken, she relates to people. Everyone is great on it, I don't really pay attention to that kind of stuff, I just keep on doing it, doing it and making sure that I'm doing well, you know, that's my main focus."